We led our third summer weekend, once again in the Cotswolds. Delegates enjoyed good food, excellent views and, of course, lots of music. Evening entertainment included an Entertaining People cabaret and the highly talented Helen Chadwick. As last year, a pre-arranged concert in the nearby town of Broadway was very well received by local residents. 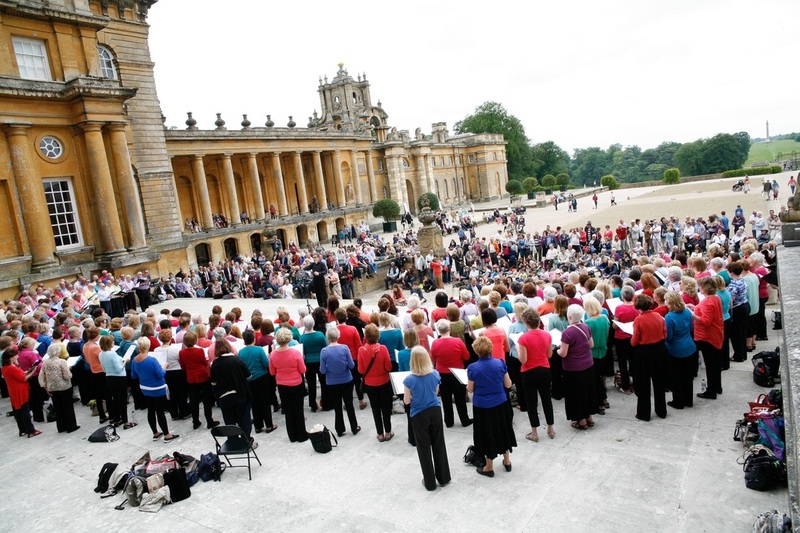 On Sunday 15 June 2014 we took a party of over 500 to Blenheim Palace. Just under half (230) were members of our Tonic choirs and they performed a 30 minute programme of songs from the WW1 era in the most magnificent of settings. The rest of the party were the ever-supportive families and friends of members. The Duke and Duchess of Marlborough, together with members of their family watched part of the performance. More details including video and photos. Following an approach to Entertaining People in late 2012, we helped St Luke's Hospice (in Kenton, Harrow) to organise a major concert as part of the worldwide Voices for Hospices event in October 2013. Held every two years, hospices across the globe organise singing events to raise both profile and money. 300 singers from 7 choirs came together on a Saturday afternoon and in the space of 45 minutes they rehearsed 5 quite challenging pieces up to a high standard. The audience then arrived and the choirs first performed on their own. Choir sizes ranged form 15 to 150 and performances were excellent. The audience reaction to each choir was enthusiastic, but they could not have anticipated what was to come - 300 singing together in the Harrow School New Speech Room. The repertoire included Myfanwy and Va Pensiero. The event raised well over £8,000 for St Luke's Hospice. More details including photos and video. We led our second summer weekend, this time in the Cotswolds. There were 80 delegates who enjoyed good food, excellent views and, of course, lots of music. Evening entertainment included the Entertaining People cabaret, Simply Songs and Stories, and the wonderful Impropera group. The weekend concluded with a surprise for the delegates who found themselves singing 'in a Broadway show'. A pre-arranged concert in the nearby town of Broadway was very well received by local residents and included the song, 'Give my regards to Broadway'. During 2013 we have been working hard with our Tonic Choirs. Shows in January and February were followed by a performance at the Royal Festival Hall in May. During June and July the choirs performed at the Radlett Festival, Harrow's Under One Sky Festival and the RAF Museum in Hendon. Alongside this work we have been busy with our own cabarets and taking large parties to the Royal Opera (La Boheme) and A Chorus Line. 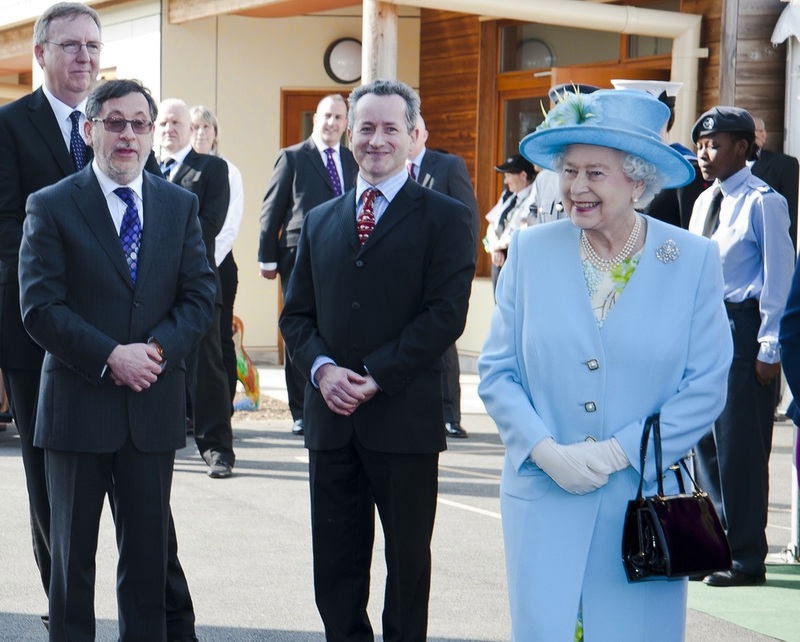 On 29 March 2012, Bryan and Philip were presented to The Queen during the Diamond Jubilee tour.